Manuel Martin Salvador (MEng'09 -- MSc'11) graduated with distinction as a Computer Engineer from the University of Granada (Spain) in 2009, where he also received the MSc in Soft Computing and Intelligent Systems in 2011. Manuel has worked in a range of R&D projects for the industry in several sectors: renewable energy, process industry and public transport. 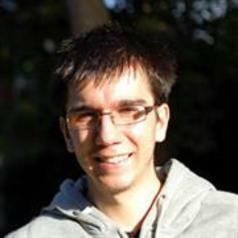 Currently he is a PhD candidate at Bournemouth University and works as R&D engineer at We Are Base. His main research areas include automatic data preprocessing, predictive modelling and adaptive systems.